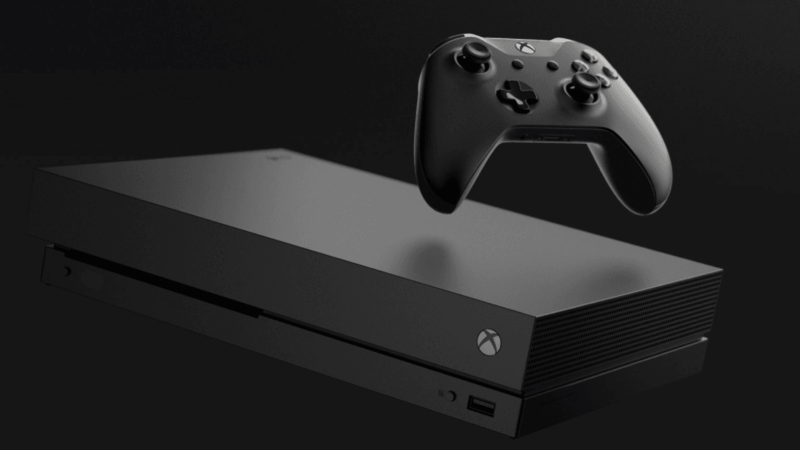 Microsoft has recently announced three new major features for the Xbox One X that may make it a stronger console overall when compared to the PS4 Pro. For multiple console generations at this point, Sony and Microsoft have been in heated competition to secure the business of a large gaming audience. While Nintendo is also a major player, their games and systems are unique enough that they tend to have an audience all their own, leaving Sony and Microsoft to battle it out – in this case, with the Xbox One X and the PS4 Pro. Both consoles represent the best that the companies have to offer, serving as a step up from the base console of this generation while still maintaining the same robust library that each company has to offer. This generation is relatively unique in the release of a console that provides a small bump in power rather than the launch of a brand new system that rebuilds everything from scratch. While the next system from Sony and Microsoft is no doubt in development, the PS4 Pro and the Xbox One X provide a step up in power for those who want to push the graphics and performance of their favorite console games to the limits. Until now, the competition between the Xbox One X and the PS4 Pro has been relatively neck and neck, with a number of tests giving the Xbox One X just a slight edge in terms of graphical power. With the announcement of three new features coming to the system, however, Microsoft may be positioned to pull far ahead of Sony when it comes to the souped-up consoles that offer the best performance you can get outside of a gaming PC. Perhaps the most exciting of these three announcements was the reveal during the latest episode of Inside Xbox, giving us news that both the Xbox One X and Xbox One S would be getting support for FreeSync. FreeSync is a technology that will be implemented via an upcoming software update and it will allow the S and X consoles to match the frame rates with the frame rates being produced by AMD’s Radeon displays. Essentially, this means that this new technology should eliminate the tearing and stuttering that sometimes occurs when TV screens have to deal with varying frame rates through a gaming session. Overall, out of the three announcements, the introduction of FreeSync should give us the most notable bump in performance – giving the console a distinct advantage over the PS4 Pro that may continue to struggle with these issues. The functionality has been around for some time with PC, but this marks the first time we’ll see it transported over to consoles, perhaps bringing the gaming systems a little bit closer to the performance of a high-end PC. Another major announcement from Microsoft regarding the Xbox One X is the introduction of Automatic Game Mode switching. This will allow both X and S systems to instruct compatible TVs to switch into a “Game” preset mode, rather than you having to activate the mode yourself. While this won’t be active on every TV, it’s a nice touch that will allow those looking to optimize the quality of their display the ability to skip a step and jump right into the action with their favorite new title. There have been a number of attempts to implement a similar functionality, but Microsoft has announced that they’ve found a way to allow TVs to tell the difference between when you’re playing a game on your console and when you’re using it to stream video such as playing a Blu-Ray or watching Netflix. The Game Mode allows players to reduce input lag, which is very important for games that require precision reaction times such as fighting games. The last announcement from Microsoft is a fix for the RGB color output problem that has been affecting its consoles’ built-in 4K Blu-ray drives. This isn’t quite as exciting as a fix as the previous two releases, but it will be a welcome change for those who enjoy using their console as a media center on their 4K-capable TVs. This change should set the Xbox One X further apart from the PS4 Pro as the go-to device for those looking to build a home theater in addition to a gaming den. Overall, while the PS4 Pro and Xbox One X both offer improvements over their base model, Microsoft’s system continues to jump out ahead when compared to Sony’s. If you’re in the market for a high-end gaming console and haven’t yet made the decision, it’s appearing as if the battle is gradually shifting in Microsoft’s favor – despite the greater PS4 sales worldwide.